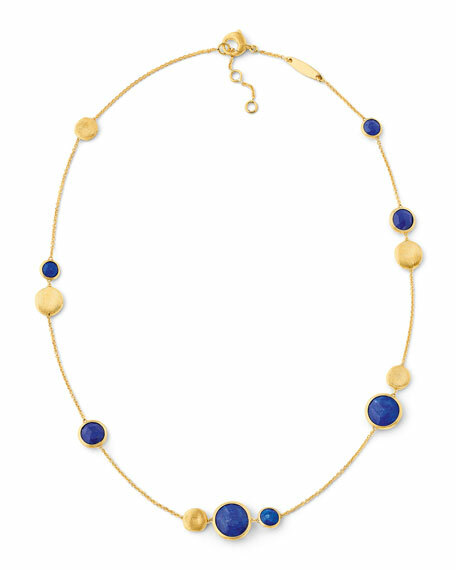 Marco Bicego necklace from the Jaipur Collection. Round, rose-cut lapis bezel stations. For in-store inquiries, use sku #1925515.